Gold Coast have had three players recognised in the AFLCA Coaches Votes after Sunday’s last-gasp victory over Carlton. 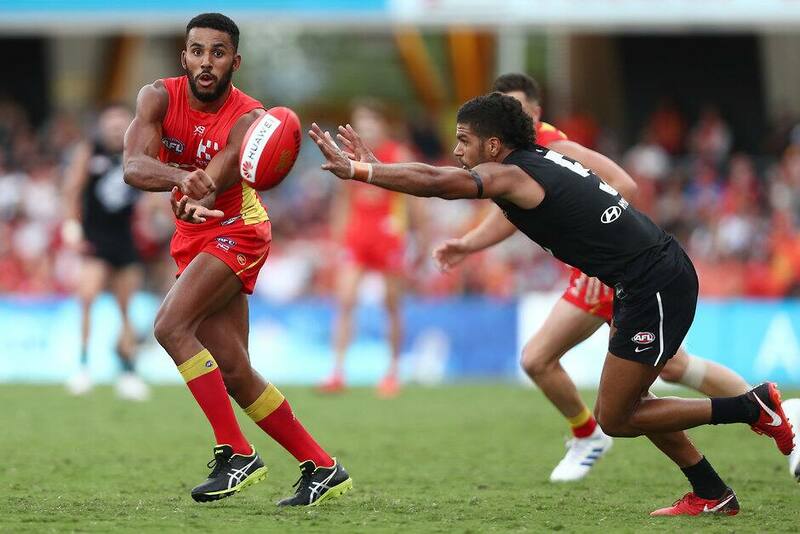 Midfielder Touk Miller led the SUNS with eight votes for his 31 disposal effort. Of more significant note were his game-high 14 tackles, including nine in the first quarter – the most by a SUN in a single quarter. David Swallow continued his strong start to the year, having a big say on proceedings with his 30 disposals going at 83% efficiency. The skipper received four votes from the coaches for his efforts. The third Gold Coast player to register a vote was Brayden Fiorini (one) after he had 30 disposals, six marks and four inside 50s. Stuart Dew and Blues’ counterpart Brendon Bolton voted Carlton captain Patrick Cripps as the best player on the ground. Sam Walsh (four votes) and Jacob Weitering (two votes) were the other players to poll.